" I am 57 years old. I've worked in music all my life including writing music for bbc television and running a professional recording studio for sixteen years. I've enjoyed running community music projects for the last six years including three years studying music therapy and counselling skills. I run four successful community choirs in Taunton Minehead Tiverton and Exeter and have worked closely with Foxes Academy in Minehead for learners with learning disabilities. 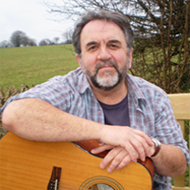 I provide music sessions for Parkinsons UK in North and West Somerset and have recently run music workshops with Rethink Mental Health Charity in Exeter and with Headway in Taunton Bridgwater Yeovil and Henton. I recently enjoyed two years study of music therapy at UWE before switching to study psycho-dynamic and person-centred counselling skills for a third year. My particular interest is the appropriate use of therapeutic music techniques in recreational music settings. I run many projects in partnership with Moorvale Creative CIC - a not-for-profit community interest company based in the south west that promotes creative programmes in the local community and further afield.